It’s a strange thing to read something like Arab of the Future and realize just how well I had it as a kid (and to a greater extent, even today). I never had to grow up under the tyranny of dictators, the fear of food shortages, fear of not having a place to live, or fear of radical ideologies putting me in real danger. Whatever fears I did have were often quelled by my own childhood innocence; the idea that the world was far too big to understand, and I only needed to understand things that were immediately relevant to me. I guess that’s where I connect with Arab of the Future. 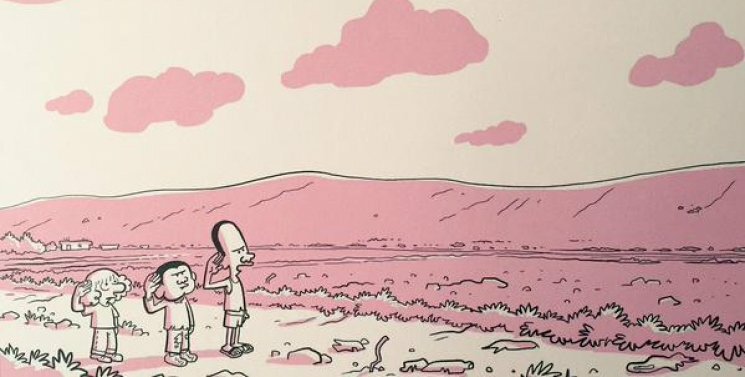 Arab of the Future is a graphic memoir following its author, Riad Sattouf, as he traveled with his parents from France to Syria to Libya (although how he has such vivid memories from being two is beyond me). While it’s told from Riad’s perspective, it’s really a story more about his father, Abdel-Razak. Hailing from Homs, he is a peculiar and ideologically-split man, believing in pan-Arabism but not always practicing what he preaches. On the one hand, Arab of the Future is a bit of a tragic tale. As adults, we see the reality of living in Gaddafi’s “Socialist Republic;” the promise that was sold and the lie it ended up being. We see how an idea like the Socialist Republic looks good on paper, but offered no form of security to any of the people living in Syria. We can see the tragedy of living in Libya and how the religious and social constructs can cause an intelligent man like Razak to act as ignorant as the Arabs he claims to want to help. We see the tragedy of Raid’s small time spent in France between Syria and Libya, and it being the best place for him, but his father truly believes they belong in Syria. On the other hand, Arab of the Future is a charming tale that shows the indomitability of a child’s spirit. We see how despite all the terrible things around him: his nomadic childhood, the poverty, the religious segregation, the threats of death from Arab children, and the inconsistent nature of his father Riad is never put down. He’s never broken; he’s just a child in a world that’s much bigger than himself. He’s curious, ever-willing to learn and sees his father as not only an authority figure, but as a righteous one. In a lot of ways, he’s very much like his father. He believes in him, despite how Razak claims the ideal ideology, but practices the dictator. Sattouf’s artistry within Arab of the Future is weird and excellent. It possesses its own unique charm while very much capturing the look and feel of all of the places he visits. It really does feel like the drawings themselves are from the perspective of a child, with certain things looking foreign and strange, while others are quite detailed, the way certain places or people are very vivid in your childhood memories. Arab of the Future is an insightful and darkly comedic tale. While I don’t think you don’t have to be from the Middle East to fully appreciate the tale, it’s an interesting perspective into the history of the politics and culture of the Middle East during the 1970s. It’s enjoyable enough that you won’t want to put it down and short enough that you can get through it in a couple of hours. It’s definitely worth a read. 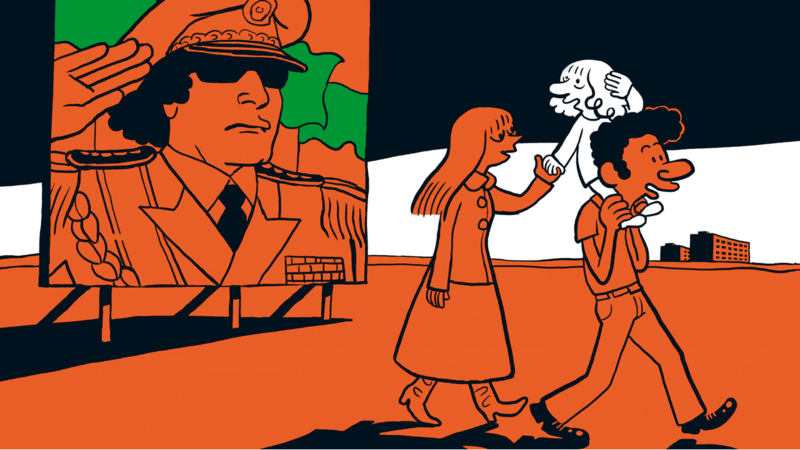 Arab of the Future is a graphic memoir following its author, Riad Sattouf, as he traveled with his parents from France to Syria to Libya (although how he has such vivid memories from being two is beyond me).